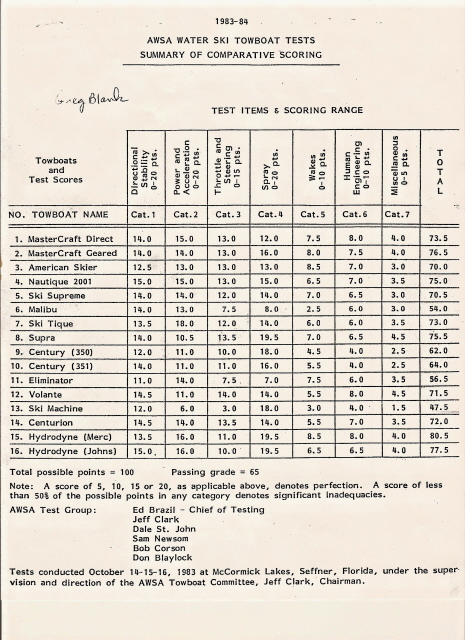 I ran across some the test scores that AWSA used to share back in the good old days of AWSA Tow Boat testing. 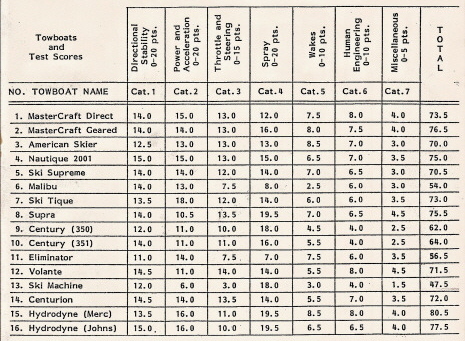 Seems the Hydrodyne Outboards which are 15 & 16 on the list below had the best total scores. We have not changed the hull shape although the new style Dyna-Ski 20' hull running surface is about 9" longer than the old 20' Hydrodyne. The 9" was added near the back end on the hull. 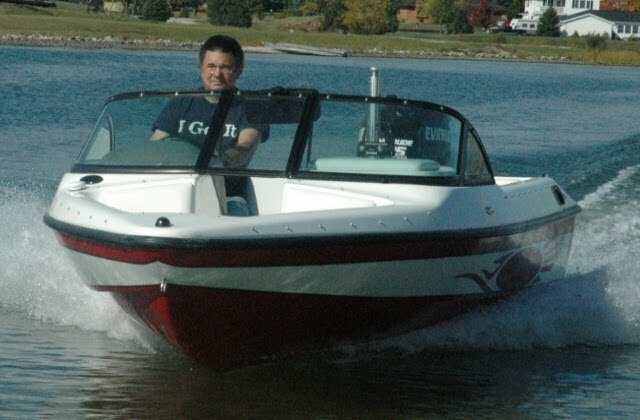 The deck's of the Dyna-Ski Boats are much different than the Hydrodynes of old. We still use the original hull mold for the 17.6 models. I think that the 17.6 also was an approved tow boat in 1986. The outboard motors now are more powerful as they went to measuring the horsepower at the prop instead of the crankshaft in 1991. I'm going to look thru my stuff and will share some of the interesting things in the future. Below is an enlarged and cropped version. The complete scanned form is on the bottom of the article.